Tributes are flowing in for victims of the Manchester terrorist attack which saw 22 people killed and 59 injured. Police say they are “confident” they have identified all the people who died, but are waiting on guidance from the coroner before naming them. 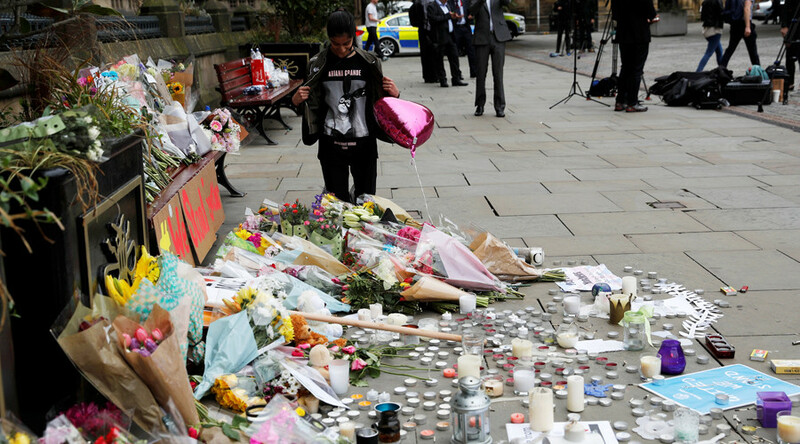 Among the victims are parents who were waiting to greet their children after the concert at Manchester Arena and take them home safely, as well as teenagers excited to see pop star Ariana Grande perform. The youngest victim was eight years old. Greater Manchester Police says all the families have been contacted, and trained officers are supporting them. Because of the large number of victims, however, forensic post-mortems are likely to take four or five days. It is only then that officials will be in a position to formally name the victims, with guidance from the coroner, police say. The number of people who have been publicly identified is now at 12. One of the victims of the Manchester attack was a serving police officer who was off duty, police say. Friends Alison Howe and Lisa Lees were killed by the bomb in the foyer of the arena as they waited to collect their 15-year-old daughters from the pop concert. Their daughters survived. Jane Tweedle-Taylor, 51, had gone to the Manchester Arena with a friend to pick up the friend’s daughter. She was a receptionist at South Shore Academy School in Blackpool, where she lived. Martyn Hett, 29, a ‘superfan’ of long-running UK soap opera ‘Coronation Street,’ was also killed. Hett had a tattoo of the character Deirdre Barlow on his ankle, and with his boyfriend won the ‘Come Dine With Me’ TV show. The Polish embassy in London confirmed that two of its citizens had been killed, Angelika and Marcin Klis, aged 40 and 42 respectively. Polish Foreign Minister Witold Waszczykowski said they had been waiting for their daughters at the arena. Overnight, the families of 15-year-old Olivia Campbell and 32-year-old Kelly Brewster announced that they had died in the attack. Fourteen-year-old Nell Jones has also been confirmed as a victim. On Tuesday, the first victims to be named were Georgina Callander, 18, Saffie Rose Roussos, 8, and John Atkinson, 28. Twenty people remain in “critical care” in Manchester hospitals, with some of their injuries involving major organ damage or potential loss of limbs, Jon Rouse of the Greater Manchester Health and Social Care Partnership told the Guardian. The injured include 12 children under the age of 16.